Every time I think of Garth Brooks, I think of Greece. I suspect this is not the statement of your average country music fan, so let me explain. Like many people in the south, I grew up on country music. Reba, George, Martina, the Dixie Chicks, countless others and of course – Garth Brooks made up the soundtrack to our family road trips and daily commute. Adding a country music CD to the family’s collection was never a hard sell, so when I trekked off by myself to Europe for the first time on a school trip I had Garth’s “Sevens” armed in the zipper CD case that accompanied my “no skip” single disc walkman. That trip to Europe was life changing for me, and as our bus wound through the road up into the mountains of Delphi, I stared out the tall windows watching the waters of the Aegan sea below and listened to Garth Brooks. If you’re familiar with Sevens and a die hard Garth fan, it’s probably not your favorite album. It’s not loaded with hits, but instead a lot of random slower songs including a ballad of a homeless person and a seemingly out of place song about World War II. Even so, those obscure songs always end up being my favorite on records. When I thought the first horse I ever loved, Doodles wasn’t going to make it out of surgery I sang, “Friend to Me” to him before he went to the vet hospital. 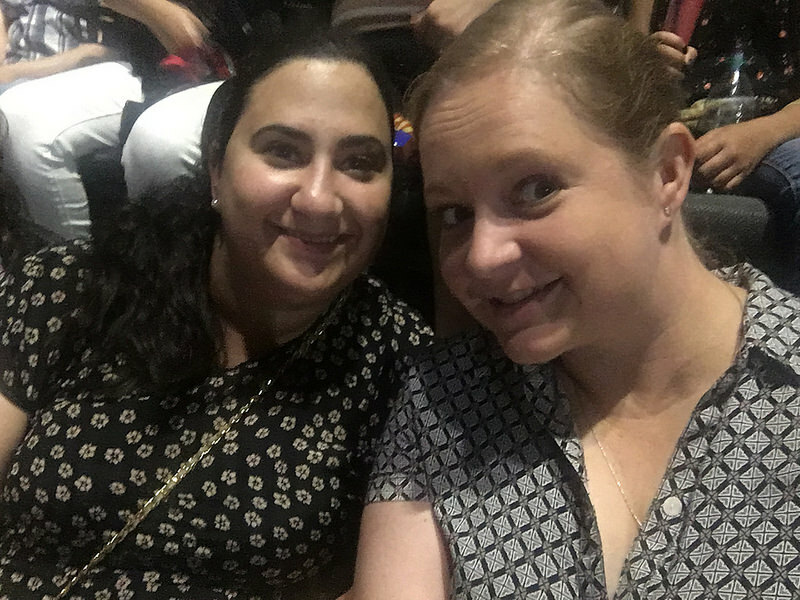 Last night, a friend and I went to see Garth play in San Antonio, the first time I’d ever seen him in concert. At the end of the concert, he played part of one of those slow, unknown songs from Sevens and I was back in Greece again. 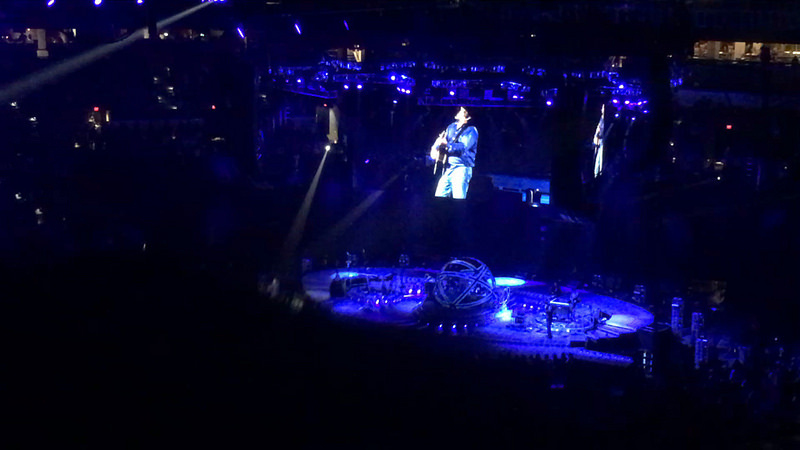 Sitting in the ridiculously crowded stadium full of screaming Garth Brooks fans, I felt like Garth was performing my timeline though his never ending series of hit country songs. Though I (mostly) haven’t been a country music fan since high school, there’s something undeniable about that genre and its performers. The last two times I’ve been caught off guard by my grief and cried in public were at country music shows. First for Diamond Rio’s One More Day and last night Garth’s If Tomorrow Never Comes (which to be fair, these are pretty much the same song). Crying or being overly emotional in public is so not my thing, but there’s something about country music that brings it out of me. The songs are extremely saccharine, cliche and over the top for sure, but it’s more than that. The music feels larger than it should. I wiped my eyes as Garth moved on to something more upbeat, and started to think about what all these songs I grew up with meant to me now. Anyone who’s survived the warmup ring at a horse show knows that Rodeo isn’t just about… well, a rodeo. Two Pina Coladas is me on Rainey street… or the east side… or my house. Just replace the Pina Colada with “vodka soda.” When you add a little Ain’t Going Down Till the Sun Comes Up you’ve got an anthem to my new single life. The River is an anthem that has pushed me along in my goals for years, and Unanswered Prayers is pretty much the phrase “Everything happens for a reason” (something I get told me a lot these days) put to song. I’m Much Too Young to Feel This Damn Old is quite the accurate description for how a 30 year old widow feels in the first year of aftermath. As for The Dance, that’s how I feel about my memories with Tim. Every day. All these places, times and feelings ran through my head as the night went on. I tried to forget how many people in the crowd would be voting for Trump this fall, and gave in to the allure of country music as I sang every word to every song with 19,000 of my temporary friends. As the show closed with Standing Outside the Fire, I tried to channel the energy in that stadium to stay within me as we drove back to Austin. I tried to focus on the fact that however many old songs remind me of old times when my life was a lot simpler, that there was more to be lived and more to be sung. This post is giving me serious 90’s flashbacks. Did he do The Red Strokes? Favorite ever. Right? He kept saying “Here’s an old one!” and I was thinking ‘dude they’re ALL old!’ Nope, didn’t play that one though. Commence me listening to GB for the rest of the day! To completely rip off Eric Church, “funny how a melody sounds like a memory” huh. That line slays me simply because of how many times I’ve been yanked back to the memory of a situation or person on the basis of a song. “Unanswered Prayers” is my entire life’s anthem. And how I remind myself that life didn’t turn out how I wanted it to, but it turned out how I -NEEDED- it to, for whatever reason. Belleau Wood is one of my favorites, and I loved Sevens. But then, I liked his Chris Gaines stuff too, so there you go. I’ve only seen him once live myself, and wanted to see him when he came through Texas, but…alas, not in the cards. But so glad to see him out touring again. HAH!! Stupid me! Apparently he IS on Spotify!! Goes to show how little I check! He’s actually not on there. At least not for me! I wish they’d make a deal too. I love country music, for exactly the reason you described. The songs are often over the top, but somehow so often relateable and the music “feels larger than it should.” No matter what I’m feeling, it seems like there’s always a country song for it. I’m not a huge Garth fan, but it seems like this was still a great concert. Funny how listening to old songs can take us down memory lane like that. I’m a more recent convert to country music (having grown up in the city), but we went to Garth Brooks this year when he was in town, and WOW! what a concert. Sevens reminds of me hauling horses to pony club! It was the only CD that “lived” in my family’s truck. Country music is so powerful, I agree. I bawled my face off at a Reba concert a few years ago.